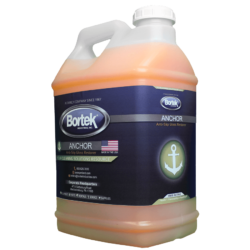 Anchor is a companion product which creates an anti-slip surface on the floor. It effectively cleans and restores floor ﬁnish. It can be mopped on or used through an automatic scrubber. 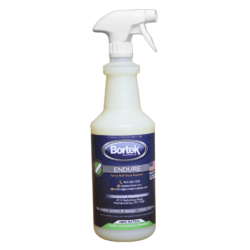 Endure removes black heel marks and dirt, and improves your floor’s original finish with additional gloss. Its use can make the need for recoating and stripping less frequent. 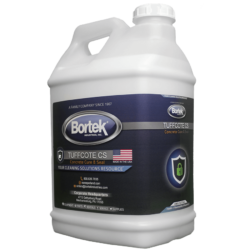 TuffCote CS is a protective acrylic coating, for curing and sealing new and old concrete surfaces, whether indoor or outdoor. It’s water-based, dries fast, and has no solvent fumes. 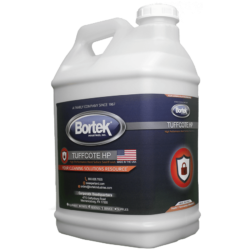 The TuffCote HP is a seal and finisher perfect for concrete, brick, and ceramic tile. Water-based and free of solvent fumes, it’s ideal for interior use.